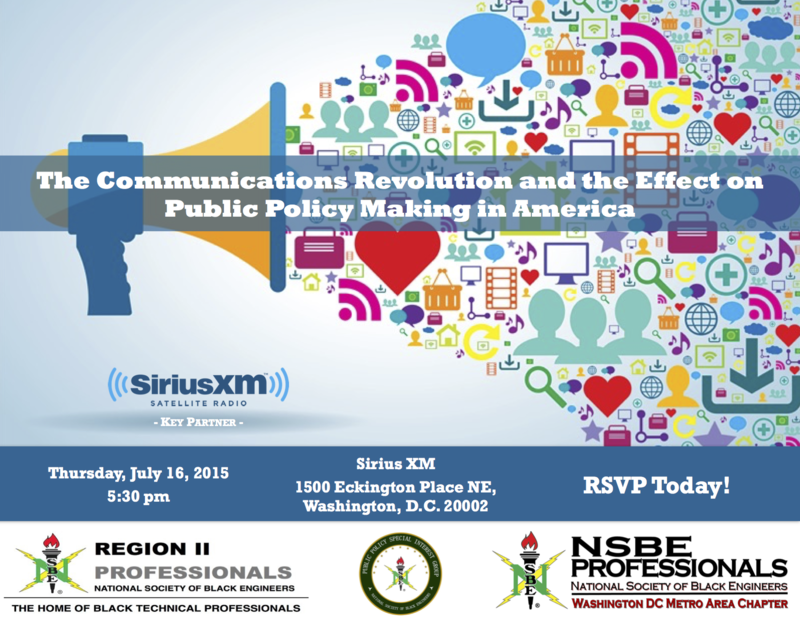 Please join us Thursday, July 16th for a networking mixer with NSBE Region II Professionals Executive Board, NSBE Public Policy Special Interest Group (SIG), NSBE DC and Sirius XM. The event titled " The Communications Revolution and the Effect of Public Policy Making in America" will explore innovations and trends in policy. The event will begin at 5:30 pm and conclude at 9:00 pm. The event is free to the public, hors d'ouevres and drinks will be provided.